What flavors are available from International Delight? Flavor Faves: French Vanilla, Caramel Macchiato, Hazelnut, Cold Stone Creamery® Sweet Cream, Hershey’s® Chocolate Caramel, White Chocolate Macadamia, Almond Joy™, REESE’S Peanut Butter Cup, Southern Butter Pecan, Cinnabon®, Amaretto Café, Irish Crème Café, Salted Caramel Mocha, White Chocolate Raspberry, White Chocolate Mocha. Holiday Cheer: OREO®, Pumpkin Pie Spice, Peppermint Mocha, Frosted Sugar Cookie, Sugar Free Pumpkin Pie Spice, PEEPS®. Fat-Free and Sugar-Free: French Vanilla Sugar Free, Caramel Macchiato Sugar Free, Hazelnut Sugar Free, French Vanilla Fat Free, Sugar Free Pumpkin Pie Spice. Creamer Singles: French Vanilla, Caramel Macchiato, Hazelnut, Cold Stone Creamery® Sweet Cream, Hershey’s® Chocolate Caramel, REESE’S Peanut Butter Cup, Irish Crème Café, French Vanilla Sugar Free. Iced Coffee: Mocha, Caramel Macchiato, Vanilla, Mocha Light, Caramel Macchiato Light, OREO®. What flavors are available in pints? Flavor Faves: French Vanilla, Caramel Macchiato, Hazelnut, Cold Stone Creamery® Sweet Cream, Hershey’s® Chocolate Caramel, Southern Butter Pecan, Cinnabon®, Amaretto Café, Irish Crème Café. Fat-Free and Sugar-Free: French Vanilla Sugar Free. What flavors are available in quarts? 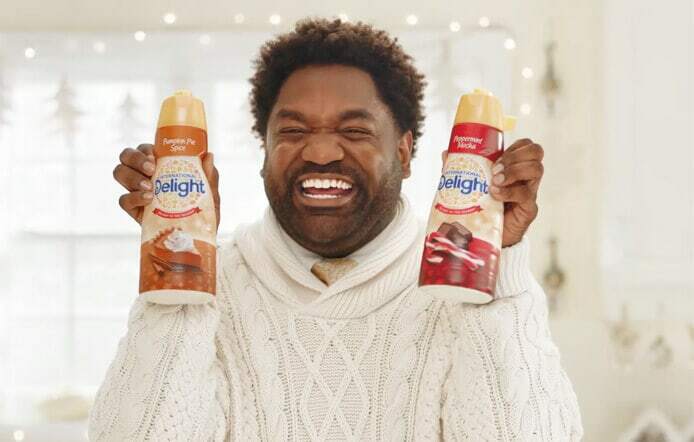 What flavors are available in creamer singles? What flavors are available in Iced Coffee? 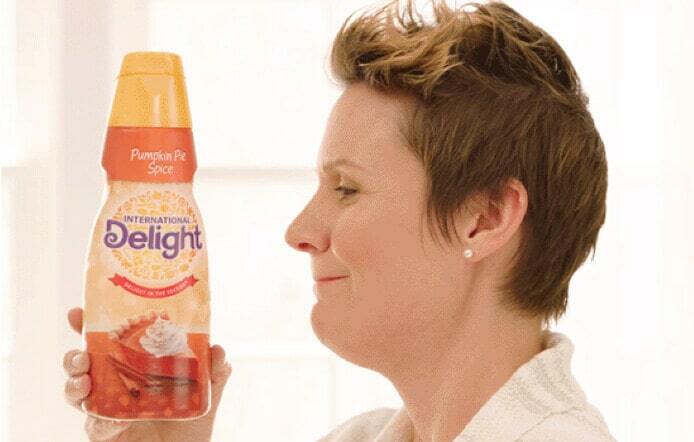 What creamer sizes are available from International Delight? International Delight offers pint (16 oz. ), quart (32 oz. ), 48 oz., half gallon and creamer singles. What flavors are available in 48oz? French Vanilla, Hazelnut, Caramel Macchiato and Cold Stone Creamery® Sweet Cream. What flavors are available in half gallon? French Vanilla, Southern Butter Pecan, Caramel Macchiato and Cold Stone Creamery® Sweet Cream. Are you planning to introduce any new I.D. flavors? Yes, we are continually working to expand and enhance our range of flavors based on consumer research and feedback from our customers. If you have a suggestion for a new flavor, please don’t hesitate to post it on our Facebook page. Does International Delight contain gluten? No, International Delight does not contain gluten. Do International Delight creamers contain lactose? No, International Delight creamers do not contain lactose. However, they do contain sodium caseinate, a milk derivative. Does International Delight contain trans fat? No, International Delight contains no hydrogenated oils and is labeled 0g trans fat. Yes, the package is labeled with the OU-D symbol. OU is the symbol for rabbinical supervision, and D is for dairy. In contrast to the FDA, the rabbinical supervision considers any milk derivative a dairy constituent. Why are International Delight creamers called non-dairy products when they contain sodium caseinate, a milk derivative? FDA classifies creamers as non-dairy creamers as a means of distinguishing them from full dairy creamers, even though they contain a small amount of sodium caseinate. Sodium caseinate is a milk allergen, and requires “a milk derivative” to be stated after “sodium caseinate” within the ingredient declaration. Does International Delight contain any allergens such as peanuts? The best source of information related to ingredients and the presence of allergens is the nutrition facts panel on the product’s packaging. International Delight does not contain peanuts, wheat, eggs, fish, shellfish or soy. However, our products are produced at a variety of facilities across the United States that may also process products containing these allergens. How many calories are in International Delight creamers? Regular varieties of International Delight creamer contain 35 calories per tablespoon. (By comparison, there are 48 calories in a tablespoon of sugar and 64 calories in a tablespoon of honey.) Fat-free varieties of I.D. contain 30 calories per tablespoon. Sugar-free varieties contain 20 calories per tablespoon. What is the nutrition information for Iced Coffee? Please see product pages for specific nutritional information. What is the nutrition information for Iced Coffee Light? How much caffeine is in International Delight Iced Coffee compared to other caffeinated drinks? International Delight Iced Coffee and Iced Coffee Light flavors have 55-65 mg of caffeine per 8-ounce serving. Unsweetened Original Iced Coffee has 52-62 mg of caffeine per 8-oz serving. Does International Delight Iced Coffee contain any dairy ingredients? Yes, International Delight Iced Coffee contains skim milk, cream and sweet whey. Does International Delight Iced Coffee contain any soy? No, International Delight Iced Coffee does not contain soy. Does International Delight Iced Coffee contain any wheat or gluten? We do not make our Iced Coffee using any wheat, wheat gluten, rye, oat, barley or malt ingredients. However, at this time we do not conduct the tests that would allow us to label it as gluten-free. Anyone with severe allergies or sensitivities should always consult a doctor before introducing a new food. Can I use International Delight in recipes? Yes, I.D. can definitely be used in cooking! Check out our recipes section, our Facebook page and our Pinterest page for some sweet ideas. How does the Hug In A Mug Guarantee work? Your first sip of creamy morning coffee should end with a smile. We get that. So if the gourmet taste of International Delight doesn't completely win you over, you'll receive a replacement coupon or your money back—guaranteed. Just call us at (800) 441-3321 or contact us. Two refunds per household per year, please. Proof of purchase may be required. What is the history of International Delight? International Delight was launched in the 1980s and was the first flavored, liquid, non-dairy creamer. It originally came in three flavors and was available only in individual creamer singles. The product line has since expanded to more than 20 selections—including fat-free and sugar-free varieties—available in creamer singles, pints, quarts, 1.5 quarts and half gallons at grocery stores, convenience stores, mass merchandisers and food service outlets across the country. In 2013, we added our very popular Iced Coffee to the mix. Where can I learn more about the company that makes International Delight? International Delight is now part of Danone North America, and our mission is to bring health through food to as many people as possible. We’re also all about being the creamer to your coffee. To learn more, please visit http://www.whitewave.com/find-out-more. How do I contact International Delight with questions or feedback? If you do not find the answer to your question in our FAQ section, please Contact Us. Is International Delight packaging recyclable? Yes, ID plastic bottles and half gallon cartons are widely recyclable. We encourage all of our customers to make use of their local recycling programs to minimize the impact of packaging on the environment. To prepare for recycling, simply empty the container and replace the lid. For more information, visit how2recycle.info. Where does International Delight stand on issues of sustainability? At International Delight, we work hard to conduct our business as responsibly as possible. We are proud to source 100 percent mass-balance Certified Sustainable Palm Oil for all our creamers, a commitment we achieved in 2012. For flavors containing cocoa powder such as Salted Caramel Mocha and Classic Chocolate we source sustainable cocoa through UTZ, an independent certification program that includes environmental and social criteria. To reduce our environmental impact, we balance our unavoidable manufacturing footprint by purchasing Water Restoration Certificates and Carbon Offsets from our friends at the Bonneville Environmental Foundation. To learn more about the values and commitment behind every delicious sit of ID, please visit the website of our parent company WhiteWave Foods. Can I use International Delight after the expiration date? No. The product retains its freshness until the code date. How long will International Delight remain fresh after opening? You should use International Delight within two weeks of opening the container and before the recommended “use by” date stamped on the container. What does the date on the top of the International Delight container mean? It is the last recommended usage date for an unopened, unfrozen container. What is the shelf life for International Delight? If unopened, it can be up to 120 days from the date it was manufactured. How should I store International Delight? All packaging, with the exception of our singles, should be refrigerated. Unopened creamer singles do not need to be refrigerated because they are packaged in stay-fresh packaging that helps maintain shelf stability. However, please refrigerate any remaining product after opening. What is the shelf life of International Delight Iced Coffee? Unopened International Delight Iced Coffee will stay fresh in your refrigerator until the date stamped on the carton. Once opened, it should be kept refrigerated and consumed within 7-10 days. Where can I buy International Delight? International Delight is sold in grocery stores, convenience stores, mass merchandisers and food service outlets across the country. Use our Product Locator to find a store that carries your favorite International Delight product in the United States. You can also order International Delight on Amazon.com. Why can’t I find my favorite flavor in my local store? Some stores do not carry our items or have all sizes available, so please call the store before you visit to see if the item is in stock. Use the phone number provided with the search results from our Store Locator. Why can’t I buy seasonal I.D. flavors year round? Seasonal flavors are popular at certain times of the year (for example, our Pumpkin Pie Spice at Thanksgiving). We strive to provide the freshest possible products to our customers, which is why we supply stores with seasonal flavors only at times when they will be sold and enjoyed quickly. How can I get my favorite store to carry I.D. or additional flavors? Customers like you ultimately determine which products end up on the shelves. If you don’t find International Delight or your favorite flavor of International Delight on your favorite store’s shelves, ask the store manager to stock it for you. We have found that most store managers are very willing to meet the needs of their customers. Same delightful taste, now non-gmo project verified. Does not include Sugar-Free, Fat-Free, Iced Coffee or PCs. 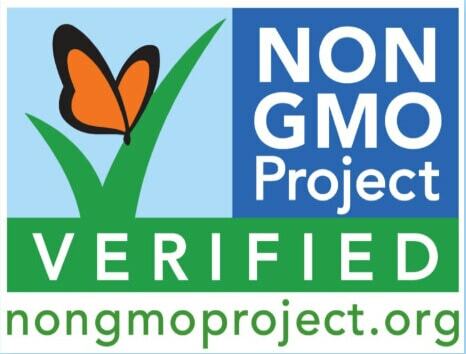 Those are NOT non-GMO Project Verified. The REESE’S, HERSHEY’S, ALMOND JOY, COLD STONE CREAMERY and CINNABON trademarks and trade dress are used under license. Weekdays 8:00 a.m. to 5:00 p.m. CT, excluding holidays.It’s free and fun to join. Reach out via our Contact Us page.